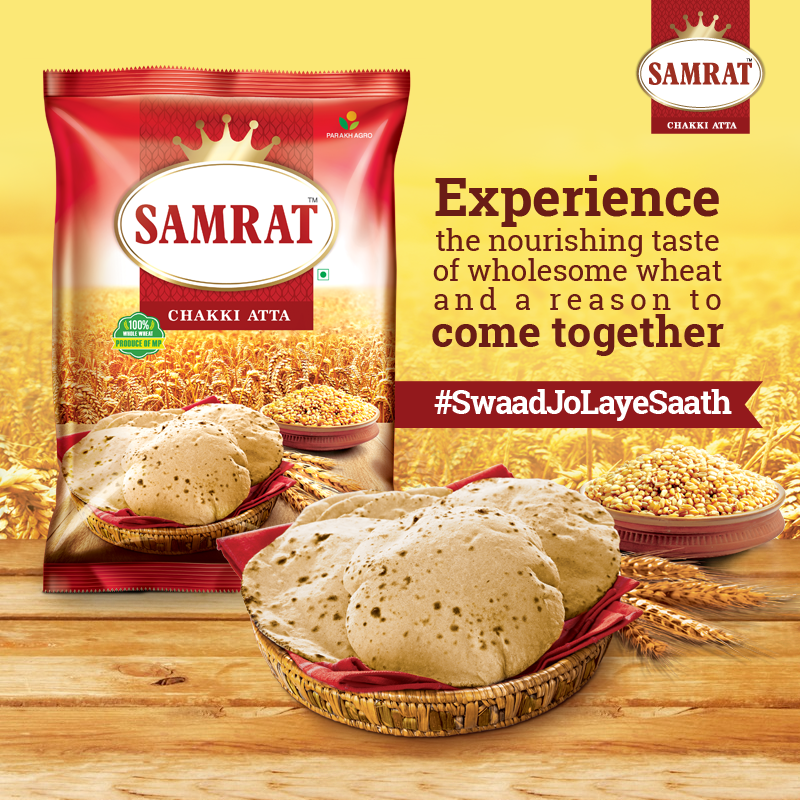 Samrat Atta is a whole wheat flour sourced from one of the best wheat growing region of India, Madhya Pradesh. Chosen from the best fields, these golden grains with their natural shine are scrutinized by experts to ensure the best possible quality for Samrat wheat atta. They are then auto cleaned and ground in traditional 'chakkis' to help preserve its freshness and nutrients. We pay special attention to hygiene and safety. Our own state of the art packaging (BRC Certified) plant in combination with bosch (German Technology). Ensures that there's no human touch until you open a fresh packet right in your kitchen. And so, be it warm, nutritious chapattis ladled with ghee, to naans, rotis and a variety of other nourishing breads, Samrat atta will surely bring people together at every suppertime.